What is email marketing? Email marketing gives you direct contact with an interested and engaged audience. It’s a great way to get in touch with potential leads and push them towards the next step in your sales funnel. Most managed service providers receive their business through word-of-mouth. Email marketing for managed service providers is a great way to expand your referral system to the digital world and boost your sales leads. So how can you get started with email marketing for managed service providers? Let’s walk you through it in five easy steps. Building or buying an email list. You’ll find very few people out there that advocate for a bought email list. When you buy an email list, your audience is not a willing participant and is not as interested in what you have to say. However, when you build an email list you’re creating an interested and willing audience that wants to hear what you have to say. 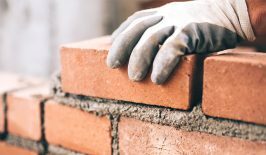 Building an email list does take a little bit more effort than just buying one. 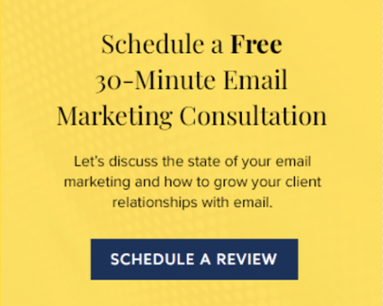 You need to build in a lead magnet and a sign up form into your website that encourages people to input their email information in order to receive an offer. Need to know more about what a lead magnet is? Don’t worry. We’ll tackle that next. Once you have a collection of emails from your sign up form, you have your email list. However, this method could take some time. Patience is key. It’s worth the wait to have a list of engaged audience members versus bombarding someone’s inbox with messaging that may not be right for them. Think of your lead magnet as an enticing offer that draws your audience into your sign up form. Lead magnets can take many forms including whitepaper downloads, e-books, special offers, a free webinar, or an assessment. The idea is that your potential lead gives you their email and they get something that they’re interested in in return. A good lead magnet needs to be easily digestible. Your audience doesn’t want to download a 500 page ebook that they have to spend hours sifting through or take a three hour long exam. Lead magnets should be short and sweet with value up front that they can apply to their business or life. Your lead magnet should be a short taste of your services. If you offer them tips on how to gain social media followers, but their followers don’t increase and your tips aren’t effective, they’ll be pretty disappointed and unlikely to interact with you more. Your conversion form needs to be optimized to give you the most information about your audience with the least amount of effort on the part of the visitor. Remember, the length of your form needs to be synonymous with the perceived value of the lead magnet on the part of the lead. If you’re offering them a year of free IT services that they really need, then your form can probably be pretty long. But if you’re only offering them a $10 off coupon for a month, keep your form on the shorter side. It may take a couple tries to find the right form. While you need to ask basic information such as name and email address, try to include information that tells you more about them. One could be, what’s your biggest IT issue? But keep in mind the level of personal information. People may not be willing to give out information such as salary or job title for a three page whitepaper. The value of your offer is tied directly to the value of the information they’re willing to give. 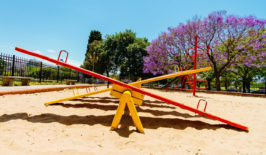 The key to email marketing for managed service providers is balancing the value of your offer and your visitor’s willingness to give out information. 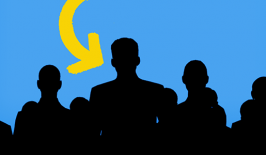 Email list segmentation is a really great tactic to apply for email marketing for managed service providers. Email list segmentation is when you break down your newly-built email list into smaller groups based on specific criteria in order to send them more personalized content. For example, if you are able to get job title input on your opt-in form, you can send emails regarding managed IT services to the C-suite executives, but cloud-products to IT department managers. This way you get the right product or service to the person with the authority to implement it. Personalizing your email marketing can boost your click rates and reduce your unsubscribe rates. You can even use email segmentation to reward those who open your emails the most with special offers or welcome new visitors with a welcome email. 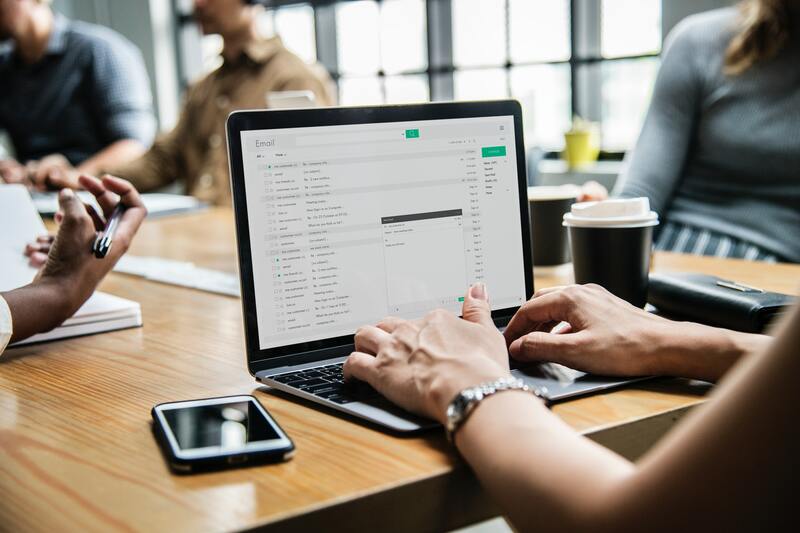 When it comes to email marketing for managed service providers, you may be too busy to really dig in to all the work that needs to be done to create, maintain, and refine an email marketing campaign. Most managed service providers specialize in cybersecurity, cloud services, or virtualization—not email marketing. Work with an email marketing specialist. 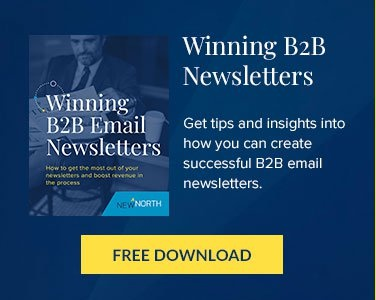 New North has created successful results for managed service providers and is an expert when it comes to email marketing. Email marketing is the most effective channel we have today, and companies not using it effectively are not going to win. If you are competing in the marketplace, you need to be using email marketing effectively to grow your business. Customers expect email. They respond to email. That’s why it’s your biggest opportunity for engagement. If you’re interested in email marketing for managed service providers, get in touch with New North today.